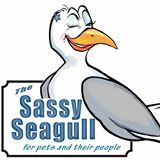 One place you will want to stop on the wine walk and cider stroll will be the Sassy Seagull. They will be providing a white and red wine with snacks. Pick up your glasses at Washed Ashore and come on down. It’s Small Business Saturday so come on down and Shop Local! Enjoy some cookies and hot cider. Mark your calendars now. Call (541) 297-2342 for details.